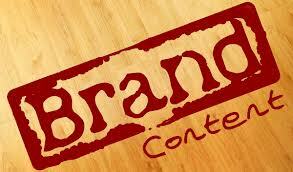 How Branded Content Increases Business and Brand Recognition. An organization’s brand message touches each customer, prospect, and employee with every communication across all media channels. The best way to get your message out to your targeted audience is through branded content. That means that everything you want your customers, prospects, and employees to know, you have to generate. All marketing communications must deliver a consistent message and visual identity that promotes the benefits your business provides and positions your company as an authority, industry leader and unique service provider. The messaging you generate is your branded content. Effective content marketing and copywriting is based on consistent, targeted, innovative and persuasive messaging that tells your brand story. When done right, branding drives profitability, increases customer retention and loyalty, lowers new-customer acquisition costs, and provides organizations with the ability to hire and retain qualified and talented employees. When a strong brand is built, it can sustain itself through an organized program for updating and refreshing branded content. The foundation of all branded content is the brand messaging platform. This is developed from the value proposition—which identifies why your company is different from the competition and is the best provider of services in your market niche. Once the brand message is developed, you create branded content by weaving the messaging into every tool in the content marketing program for each media channel. Printed Collateral, e.g., brochures, fact sheets, case studies, white papers, etc. The core brand message is communicated with a slight difference in each channel—the adjustment is made depending on how the audience is receiving the information. Yet all brand messaging is designed to achieve the same goal: to get the audience to take action to make the purchase … invest … join … contribute … be loyal. 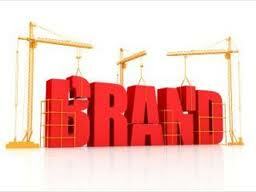 Through brand recognition, business increases along with profits. The brand messaging platform describes what the brand is. The next step is taking this brand essence and creating the brand story through on-point copywriting that increases sales and brand awareness. The copywriting brings the brand to life while reinforcing the brand benefits without ever losing site of the goal: writing to sell by getting the point across that you can’t get any better product, service or solution—and you better act fast. All branded content must have a point. Buy now … Get the best … Sign Up. But it takes more than just using active verbs. The point is to make a point that makes a difference—with innovative, persuasive copywriting that always delivers the brand message and addresses how the brand can deliver on its promise. When you’re writing to sell, each message must make a point in a short timeframe within a small space to catch a prospect’s attention. To get people to take action, branded content must have clear, concise, compelling, consistent copywriting and corporate identity. The power is in the communication—Promotion, the 4th P of marketing. You can have the best product in the world placed in the best market at the best price—but if no one knows about it, it won’t sell. Branded content is a sales agent. Successful marketing communications—that is, branded content—can work for you. The time invested on the front end to create branded content pays off through increased business and brand recognition. This entry was posted in Branding on May 22, 2018 by .